Losing your teeth can be a difficult thing to deal with – it can affect both your physical and mental wellbeing. There’s no need for this to impact your quality of life, at Dental Fresh we are very likely to have an answer to your particular problem. We are confident that together, we’ll find the perfect solution for you. 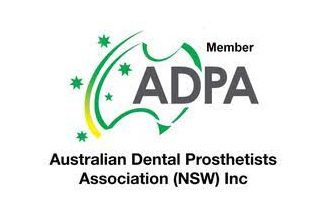 Whether you are wearing a partial or a full upper and lower denture, our prosthetist will work closely with you to improve fit, retention, function, comfort and appearance. We listen carefully to your concerns, and devise our treatment plan accordingly. 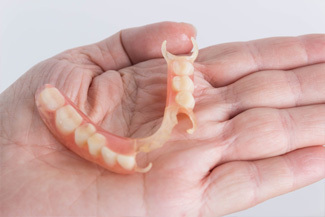 Dentures do not need to look like dentures, at Dental Fresh we can customise your teeth to look both real and natural, the way they intended to be. 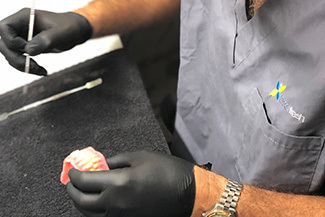 Our onsite laboratory is equipped with the latest technology, meaning we can provide you with the most technologically advanced restorative solutions available in the profession, without those long waiting times. Did you know how many different types of dentures there are and the different materials they can be main from? If you are reading this because you thought having dentures meant having them forever, there is another solution! Ask our team about ‘No dentures in two days’ or if you are tired of those old dentures contact us about ‘New dentures in three days’. When you are making a commitment such as this you want to know you are getting a service that you can trust. Our highly trained team will deliver that every time. With over 25 years experience our resident Dental Prosthetist has both the expertise and the experience to provide you with the best solution. this is an affordable option if you are missing a single or a few teeth and can be either a short or long term solution depending on your individual needs. This is an option that works very well to help stabilize a denture by using anything from 1 to 4 implants. The new denture or existing denture in some cases can be altered to have attachments built into them which clip onto the implants and are an anchor point to help hold the denture in place. This can work for partial as well as full dentures. They can be removed easily for cleaning and are more affordable. They will still look and feel like bulky dentures, they are not completely fixed and will need regular maintenance to ensure they stay firm in the mouth. This is a step up from the ‘clip in’ denture and is an option only for a full denture replacement. This requires 2-4 implants for a bar to attach to the implants to hold the denture firmly in place. The bar over denture provides greater stability and confidence. Further to this the denture can be substantially thinner than a full denture which will result in a better appearance and feel, this also improves the ability to eat and talk with less restrictions. This option also requires regular maintenance to ensure the perfect fit. And as this is a more advanced restorative method the cost is slightly higher. If either of these options do not sound like the one for you and you want natural looking and feeling teeth then the All-On-4 option might be your answer.